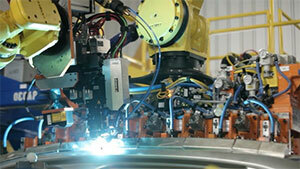 The global market for laser systems for materials processing exceeds $10 billion per annum1. The macro materials processing market accounts for around $1.5 billion of this total and the laser welding segment accounts for $317 million in 2013 with an annual growth rate of 5%. Automotive - 165,000 new cars produced every day. Aerospace – airlines will buy more than 36,000 planes in the next 20 years. Energy/power – wind power capacity alone increased by 35/5 GW in 2013. Agricultural equipment – 6.8% increase per year through 2016. Fabricated metal parts – over $2 trillion per annum. Laser welding is a high performance joining process which offers significant benefits over conventional arc based welding. Industrial sectors such as the automotive industry have led the adoption of laser welding for Body in White (BIW) structures. The aerospace industry has also recently approved the process for some applications to join reactive metals such as nickel and titanium alloys. Typically, welds in the aerospace industry undergo 100% post weld inspection by X-ray techniques. Welds which exhibit greater levels of porosity than specified in the relevant standard require rework which can severely impact the economic benefits of the laser welding process. Loop 1 - Seam tracking and pre-process adaptive control. Loop 2 - In process monitoring. Loop 3 - Post process welding NDE. The laser welding process has, however, strict requirements on the material preparation and fit-up of the abutting sheets / plates as a result of material vaporisation, fast welding speeds and subsequently fast molten fluid flows around the periphery of the laser induced keyhole. These fast fluid flows can generate instability in the melt pool, leading to potential keyhole collapse and ultimately, weld integrity issues such as porosity. Concerns over defects and the cost of rework or scrap have slowed the uptake of laser welding for high value, safety critical manufacturing, particularly in the automotive sector. Even where laser welding is used, significant time and cost is invested in Non-Destructive Testing (NDT) as a part of the Quality Assurance process. This testing can only detect defects, post-process, resulting in significant additional time and cost penalties in addition to the quality issues. To date, in-process monitoring systems are only capable of detecting surface defects and not the critical defects formed inside the laser keyhole within the material. If a solution could be found that eliminated the in-process defects and therefore the associated cost of rework then the uptake of laser welding systems would increase significantly, benefitting laser welding system suppliers and the European high value manufacturing industries. The RADICLE project will create a real-time adaptive control system for laser welding using a range of sensors in combination with intelligent and adaptive control technologies for in-process monitoring and control to eliminate defects. The project will focus on the materials and geometries for key high value, safety critical components from the aerospace, automotive and power sectors. The RADICLE system will also include pre- and post-welding measurement to give a completely integrated 3-loop quality system that aims to increase productivity of European manufacturers by 30%. The RADICLE project is coordinated by the Manufacturing Technology Centre (UK) who operate a state-of-the-art industrial scale laser welding cell totally dedicated to research and development. To ensure the results are commercialised and the benefits are realised a group of world-leading industrial companies are partnering with MTC; Alstom (Switzerland), Rolls-Royce (UK), GE Aviation (Sweden) and FIAT (Italy). These companies have significant market share in the critical markets of automotive, aerospace and power generation. Providing the process and sensor knowledge are Laser Optical Engineering (UK), Permanova (Sweden), TWI (UK) and VTT (Finland). 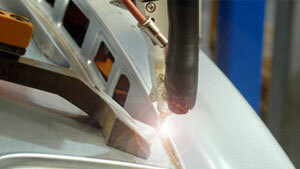 LOE are experts in laser processing and have a novel sensor technology to analyse the weld plume. 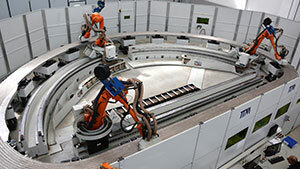 Permanova is one of the world’s leading suppliers of fibre laser welding systems. TWI are widely recognised as the world’s leading research institute in the field of welding and joining and bring a breadth of expertise in sample preparation and characterisation and also acoustic sensor technology to monitor the process. VTT Technical Research Centre of Finland is the biggest multi-technological applied research organisation in Northern Europe with leading expertise in ICT including algorithm development, software and control. The European Welding Federation will lead the project’s dissemination and business planning activities. This pan-European partnership contains some of the world’s leading technical experts in the field of laser welding, some of whom are also world leaders in their industry. This gives an indication of the strength of the laser welding sector in Europe and the RADICLE project will enable these world-leading organisations to work together and create a solution that will strengthen and reinforce the EU’s position in both laser welding and high value manufacturing.